First off, in the interest of full disclosure, I’d like to state that this is not a full review of the new Far Cry 3 game. It’s based on playing through the tutorial and the missions from the first two map areas I opened. I’m also not going to waste time rehashing the premise of the story, which you can find anywhere online. I was a huge fan of the original Far Cry game on PC (not console). In my mind, it still stands as a benchmark game with graphics and lighting that still measure up to current console games. When it was ported, the results were mediocre at best. The follow up game, which made some decent improvements, was a navigational mess that I gave up on without finishing it. The new Far Cry game shocked me when reviews started to pour in that seemed to put it on par with Skyrim (a game it was compared to on certain levels). I dove in with high hopes. After 10 hours or so, I would absolutely agree that this is the best version of the game to be released since that fantastic PC original. An excellent fast travel system has made it much easier to get around. The controls are tight, and a day-night system creates a nice atmosphere. Graphics are good, but not mind-blowing. The developers have obviously paid attention to successful elements of other great games in the last few years, incorporating many of those mechanics into Far Cry 3. And that’s exactly what derails it in the end. Huge, sprawling, beautiful world like the one in Skyrim: check. Hunting and crafting system from Fallout Vegas and Red Dead Redemption: check. Enemy-tagging from Splinter Cell Conviction (and, coincidentally, many other Ubisoft titles): check. Jungle atmosphere of Crysis: check (but in fairness, Crysis was build on the template of the original Far Cry). The list actually goes on. The game is a virtual hodge-podge of these elements, and they all work fairly well. Yet I found myself, after 4 or 5 hours in, starting to get the “mehs”. The lack of anything truly original in this game, despite the solid framework, will get under the skin of most seasoned gamers before long. 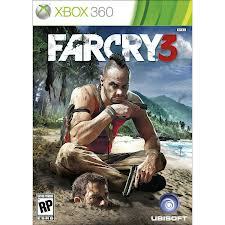 If you’ve never played any of the games I mentioned above, then Far Cry 3 will feel like a masterpiece. And hey, if some as-yet-unseen, cutting edge new gaming element is revealed later in the game, I’ll take all this back. But I have no reason to think this will be anything more than a series of cookie-cutting quests that give the game more meat to surround a core story (which seems pretty good so far). Average scores on metacritic were rolling in around the mid-90’s. I’d be more inclined to give it something between the 75 and 80 range.